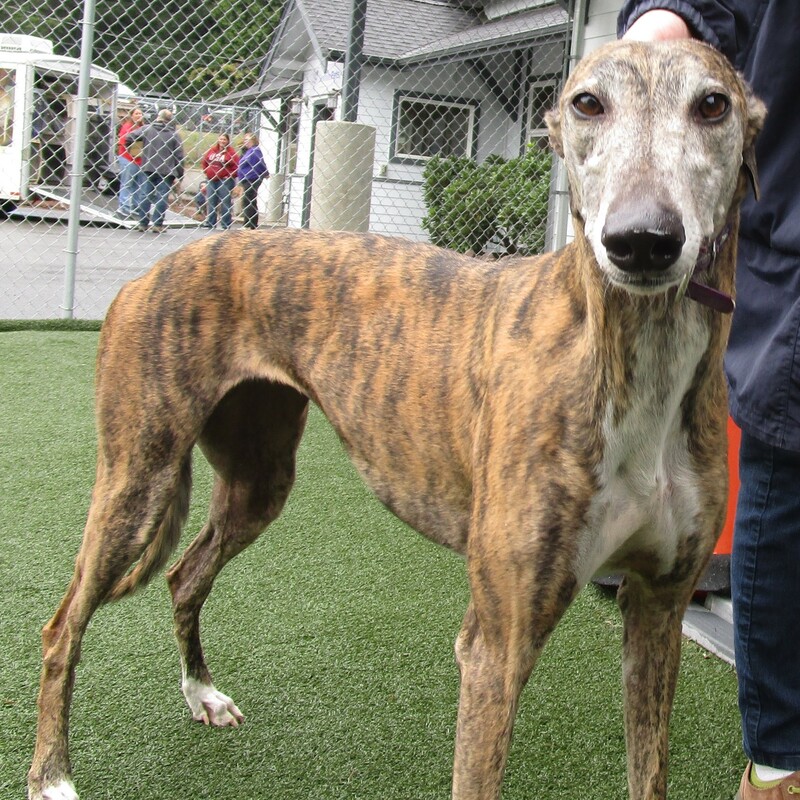 Sangria is a sweet, friendly brindle girl, born on January 12, 2015. She’s pretty mellow, but enjoys toys and raw-hides at times. Due to an unusual situation, she never left the farm where she was raised, so she hasn’t experienced much of the big, wide outside world! She’s a smart girl though and she’ll pick things up quickly. Sangria did well in cat testing, but has never lived with a cat. Use a muzzle initially and closely monitor all interactions. Sangria interacted well with the other Greyhounds and responded well when meeting Jack Russell Terriers, but caution should always be used with smaller animals, especially outdoors.